This season the Sebastians celebrate their namesake, J. S. Bach, with performances of some of his most beloved master works. 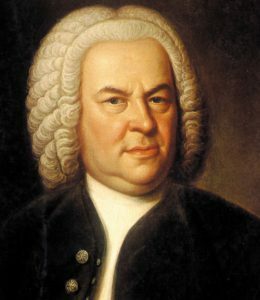 Beginning with the virtuosic Brandenburg Concerti, the season will also include a unique exploration of his Sonatas and Partitas for Solo Violin, and a spectacular production of Bach’s St. John Passion with the singers of TENET, led from the organ by Sebastians artistic director Jeffrey Grossman. We honor Bach’s great love of Vivaldi with a festive performance of Vivaldi’s Four Seasons, with a newly-commissioned companion work by Tawnie Olson. Our season finale is an intimate treasure, featuring selections from Bach’s Musical Offering and works by his contemporaries, Telemann and Handel.